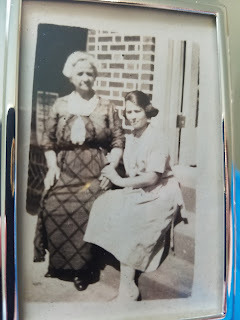 Over the past week I have been re-examining and seeing out more pictures of my family and ancestors. I love to find documents detailing my ancestors' service in the military, when/whom they married, how many children they had. That doesn't compare to seeing a picture of a family member I never met or seeing a picture of a family member when they were about my age in the prime of their life, getting married and starting to have children. As I mentioned in my blog post last week I officially started doing genealogy when I was 18. That wasn't when I started to seek out family pictures. I was probably about 10 years old when I started digging through the photos that we had put in some photo boxes, not sorted, no names or dates on the back (with the exception of a few Polaroids and more recent photos where the date was time stamped - a great feature!). I would bug my mom and ask her "Who is that?" "What year/". I later invested in photo safe pens so I could label photos on the back. My intent was to start scrapbooking and putting photos in a sleeve before pasting into archival books but sadly time got away from me and when I moved out of my parents house at 22, the photos remained in their boxes, secured away in closets. 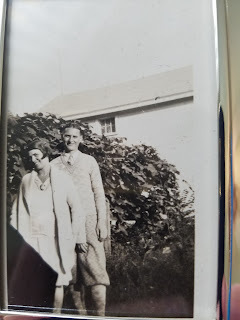 I've been asking my parents and my maternal grandmother to start breaking the photos out of their cardboard prisons and take a picture with their phones. My grandmother is quite savvy with her iPhone. I've shared a few photos here below that I was recently sent. These were pictures I only recently saw for the first time. The ancestors I researched feel more alive to me - I can look at their faces and admire their fashion sense and their closeness with family. I hope that more members of the family will continue to share photographs with me so can week our memories alive. 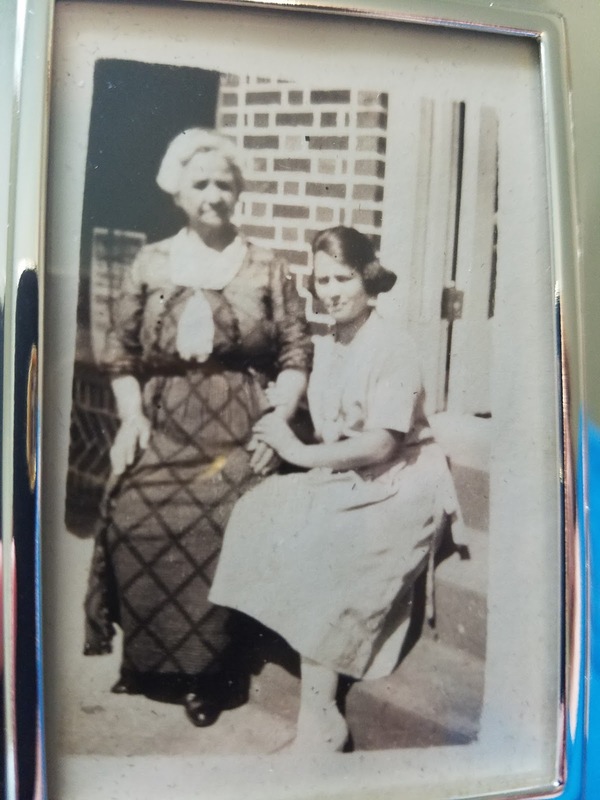 I continue to seek out more of my cousins that I find through DNA to share pictures of loved ones I remember and those who I wish to know more about. 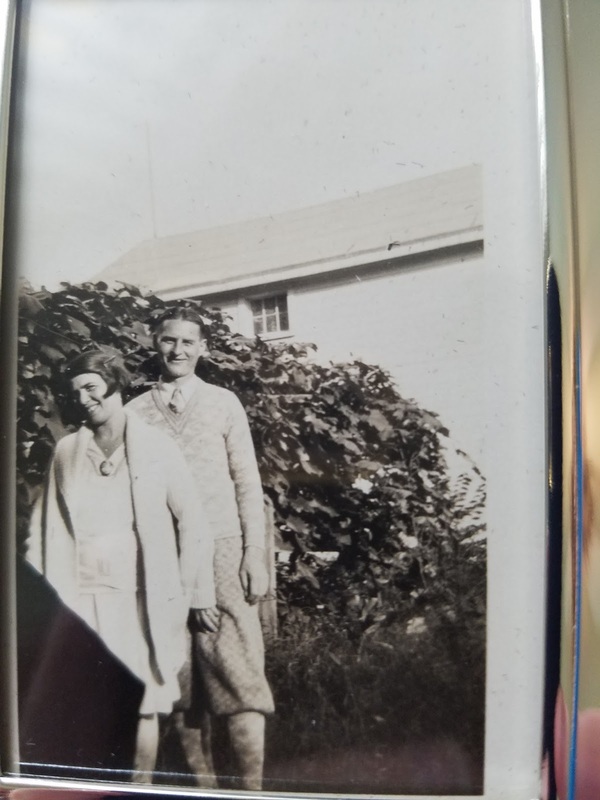 This is great grandmother Matilda (Mollie) Siegel with her husband and great grandfather Anton (Eddie) Gailunas (shortened to Gail) in front of their house in Levittown, NY. 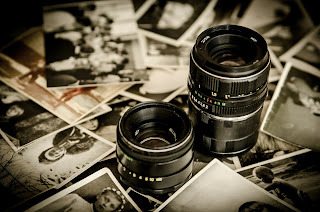 What precious family photographs were shared with you? What Was My Starting Point for Genealogy?